IS issued a statement calling the gunman its “soldier,” who attacked Christians for celebrating a holiday the jihadist terrorists deem “apostate.” The attack was reportedly carried out in revenge for Ankara’s military involvement in Syria. A manhunt is still ongoing for the gunman who killed 39 people and injured 69 at the Reina nightclub. The victims come from over 10 different, mostly Middle Eastern, countries, including Saudi Arabia, Jordan, Libya, and Lebanon. 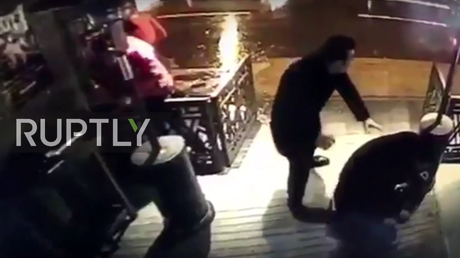 On Sunday, the Russian Consulate General in Istanbul confirmed the death of a Russian woman in the attack. 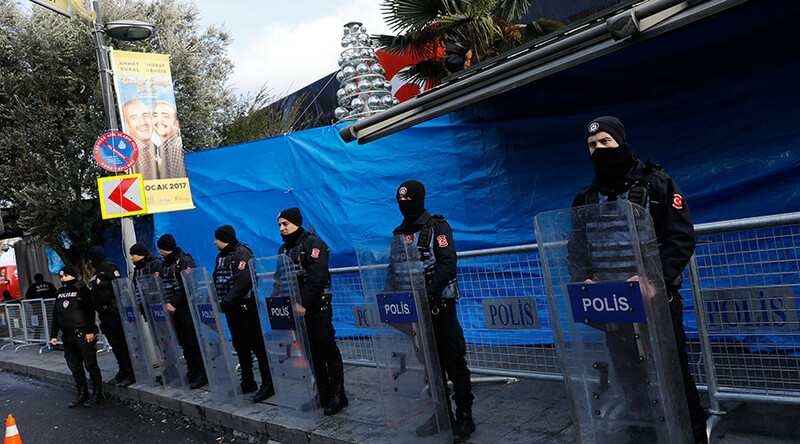 Eight individuals thought to have been involved in the nightclub attack were apprehended in Istanbul on Monday, Turkish Daily Sabah reported, citing police. Over the past week, nearly 150 people suspected of having ties to the Islamic State terrorist group have been detained, Turkey’s Interior Ministry said, adding that 25 have been formally placed under arrest. The gunman, who may be from a Central Asian country, is suspected of coming from the same cell responsible for carrying out a deadly gun-and-bomb attack on Istanbul’s main airport back in June of last year, according to Turkish Hurriyet newspaper. The club is located in Istanbul’s Ortakoy neighborhood, an area popular with foreign tourists crammed with nightclubs, shops, and restaurants. Up to 600 people are believed to have been inside the club at the time of the attack. The attacker began shooting at people as he approached the club, before going inside and continuing the rampage. He then took advantage of the ensuing chaos to escape, leaving his weapons behind, Interior Minister Binali Yildirim said in a media statement. Initial reports said the attacker was dressed up as Santa Claus, but the Interior Minister has disputed that information. Videos of the incident don’t appear to confirm this either. The gunman is believed to have taken a taxi to Ortakoy from a district in southern Istanbul, but he apparently got out of the car early due to heavy traffic, Haberturk newspaper reported. As the attacker approached the club, he pulled a Kalashnikov rifle from a suitcase and opened fire on those at the door, the report suggested, adding that, in total, he may have fired more than 180 bullets. Turkey’s military operation against Islamic State in Syria “makes it vulnerable and a target of Daesh [IS],” political expert from Middle East Technical University, Huseyin Bagci, told RT.